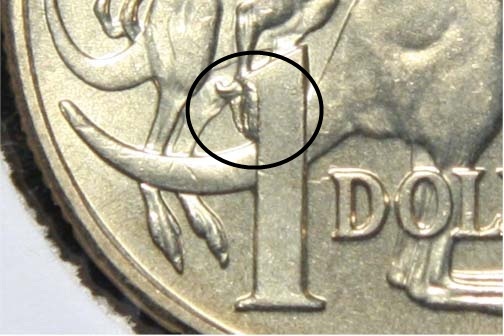 Some 2008 Mob of Roos dollar coins present cuds caused by a chipped die. 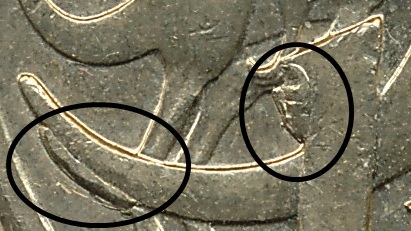 These appear on the bottom of the tail of the largest kangaroo to the left of the numeral and a cud on the number 1 at the top left of the numeral. Examples have been found with each cud indicating it’s a weak spot on the die.